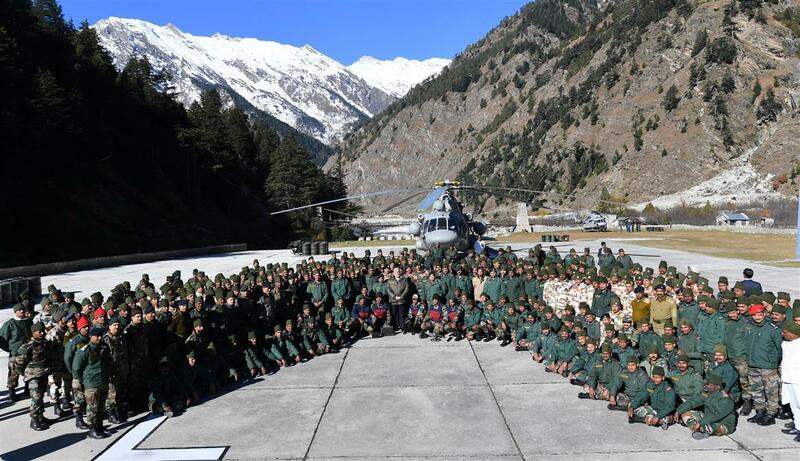 The Prime Minister, Shri Narendra Modi, today celebrated Diwali with jawans of the Indian Army and ITBP, at Harsil in Uttarakhand. The Prime Minister said India is taking great strides forward in the defence sector. He spoke of various measures being taken for welfare of ex-servicemen, including OROP (One Rank, One Pension). Celebrated Diwali with our valorous Army and @ITBP_official personnel at Harsil in Uttarakhand. India is immensely proud of all those who protect our nation, with utmost dedication and courage.